Voice your opinion! 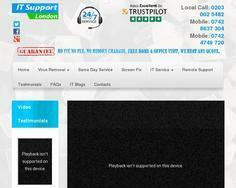 Review IT Support London now. The work they do makes you satisfied and glad that you hired them. Is IT Support London your company? Laptop & Computer Repair in London, Home or Business On-site Same Day Service. Cover All area of London,We come to you, Open 24/7, Call Us 0203 002 5482.